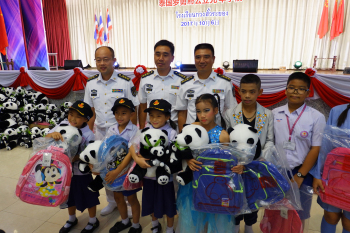 From October 4 to 7, a Chinese naval fleet paid a successful friendly visit to Thailand. 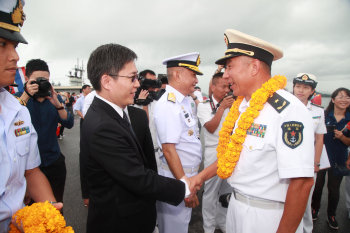 Ambassador Lyu Jian came to the port to meet the fleet and expressed in the welcome ceremony that Thailand is a close and friendly neighbor of China and China-Thailand military exchanges and cooperation have been developing smoothly. 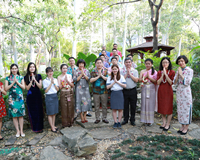 This visit has established a bridge of friendship between the two military and the two peoples, and has injected new impetus into bilateral exchanges and cooperation. 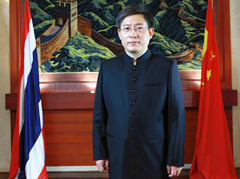 Counselor Wu Zhiwu attended the on-deck reception, and Military Attache Zhang Li attended welcome and farewell ceremonies. 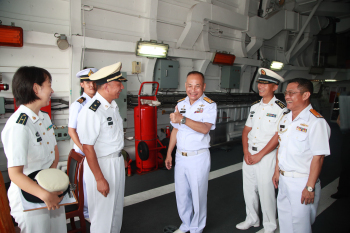 During the visit, the Chinese naval fleet commander Rear Admiral Shen Hao called on General Prawit, Thailand's first Deputy Prime Minister and Defense Minister, General Thanchaiyan, Commander-in-chief of Royal Thai Army, Vadm. 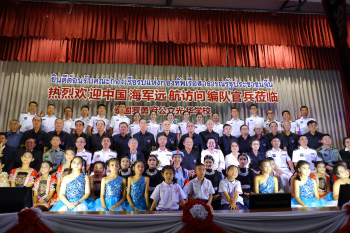 Rassadang Teeranet, Deputy Commander-in-Chief of Royal Thai Fleet, Lieutenant General Rattana, Commander of Thai Marine Corps, and Rear Admiral Vutipat, Deputy Commander of the Naval Base in Sattahip District. 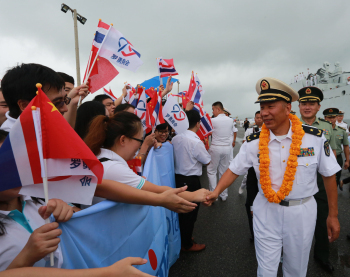 The Chinese naval fleet received more than 3500 people on board including representatives of Thai officers and soldiers led by Vadm.Rassadang Teeranet, and representatives of Chinese-funded institutions and overseas Chinese. 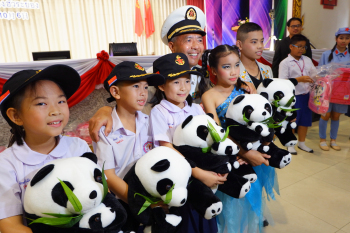 The officers and soldiers of both navies held professional exchanges on land training and ship damage control, had sport matches, and conducted social activities with Guang Hua School of Rayong as well. 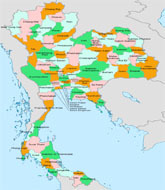 The fleet also held joint military exercises with the Thailand navy, including communication and formation movement of ships. 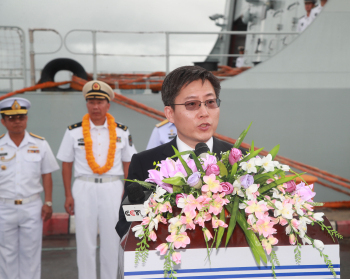 A total of four ships, more than 800 officers and soldiers of both sides participated in the exercises.